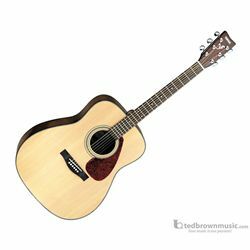 This acoustic-electric guitar provides great sound and playing ease. It is ideal for a beginning player, who wants a quality instrument, for an affordable price. It has a spruce top, meranti back and sides, and a nato neck. It has a built in, 1-way piezo acoustic pickup. The fingerboard is rosewood, as well as the bridge, and has a tortoise shell pickguard.